What is a "River" in poker? - Casino Answers! Casino Answers » Poker » Online Poker Beginner Q&A » What is a “River” in poker? There are a lot of terms when it comes to poker and it can be overwhelming if you don’t know the slang. Some of this refers to the dealing of the cards like “river” while some of it refers to other parts of the game. Bluffing is pretty cut and dry, but string bets and Slow rolls are terms that need some explanation to new players. A lot of people ask what the river is, we’re going to explain it to you right here. Knowing the terminology is very important in poker and we’re here to help. To explain what the river is, we first need to explain where it comes. When a game of Texas Hold Em starts the dealer “deals” two cards to every player meaning every player gets two cards. These are called the hole cards. There is a round of betting based on what those cards are and then when that is over there is the flop. The flop is three cards placed in the center of the table that all players can build their hands off of. This is also know as the “board”. 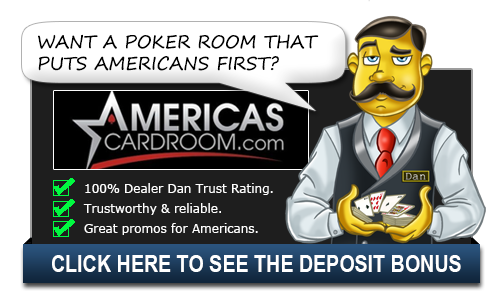 With those three cards dealt there is then another round of betting and when that is over the dealer deals another card. This card is called “the turn”. It is another community card that everyone can build their hands off of. Following the betting round for the turn, the dealer will turn a fifth and final card face up. This is called the “river” and the final betting round begins. In Texas hold ’em and Omaha hold ’em, the river, also called “Fifth Street”, is the fifth and last card to be dealt to the board, after the flop and turn. In seven-card stud the river is the final down card dealt to each player. When the game is changed by delivering one player a card which they need to beat another player’s already completed hand is called being “rivered”. A player losing the pot due only to the river card is said to have been “drowned at the river”. Many poker hands don’t even get to the point of the river as the betting rounds can get pretty intense long before that. If someone has a winning hand on the flop or the turn, it often benefits them to try and win the hand at that moment. They will then bet very aggressively to try and get the other players to fold so that they can’t draw out another card that will possibly beat their hand. This happens a lot with high pairs against a flush draw or things of that nature. Players need to make sure that their pot odds give them the proper motivation to call large raises before the river or if they are better off folding. An understanding of pot odds and implied odds is a very important aspect to being a profitable poker player in the long run.